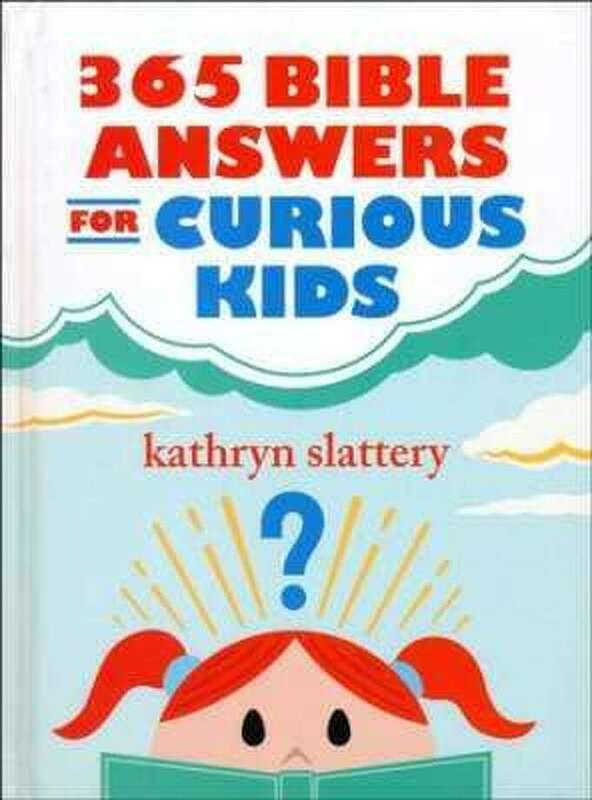 Former longtime New Canaan, Conn. resident Kathryn "Kitty" Slattery released her book "365 Bible Answers for Curious Kids" in November 2017. NEW CANAAN — When Kathryn “Kitty” Slattery was a sophomore at the University of South Florida, she stumbled upon a Christian group on campus. She wasn’t raised very religious, but she was going through a dark time in her life and was drawn to the group. Her involvement with them changed her life. Slattery spent four years after graduation working in public relations in Tampa, but when she was 25, she got a job writing for “Guidepost,” a faith-based publication. She moved to New York City and began working with the publication, which she still contributes to as an editor. Highlights from her time at “Guidepost” include interviewing Fred Rogers, of “Mister Rogers’ Neighborhood,” and a former Miss America who became the subject of her first book. While in New York, Slattery met her husband, Tom, at Grace Church. They eventually wed and had two children. In December 1990, they moved to New Canaan, which was their home until this past August when they moved to New Hampshire to be near their son. New Canaan was where Slattery, 66, began writing her latest book, “365 Bible Answers for Curious Kids,” a 365-day devotional answering a question a day about Christianity and being a Christian. The book was released this past November. Slattery, who taught Sunday School at Saint Mark’s Episcopal Church, spoke with clergy there and other churches throughout the area, including Grace Community Church and Saint Aloysius Parish, as well as Trinity Church and Christ Church in Greenwich. A: My major in college was mass communications. I always loved reading as a kid and writing. In 1977, I joined the staff of “Guidepost” magazine in New York City as an associate editor. I have a long, wonderful relationship with them. “Guidepost” is a monthly inspirational magazine and it features true first-person stories from people of all walks of life (about how) facing God has made a positive difference in their life. It speaks to a broad readership and has a very loyal readership. It’s like a family. Q: How did you get into writing about religion? A: Growing up, I had loving parents and grew up in a culturally Christian household. As a little kid, I remember talking to God before I went to sleep. We had big conversations. I talked to him if I had a tiff with a girlfriend or (about) my hopes or dreams. I’d talk to him every night. We weren’t so much a big church-going family, but it was very easy for me to believe in God. In eighth grade, I was dropped off at church for Sunday School and I remember I had a teacher who said everything in the Bible was a myth and none of these stories were true. I went home to Mom and Dad and said, ‘My teachers said it isn’t true, why am I going?’ They didn’t have an answer, so they said I didn’t have to go anymore. Fast forward to college: sophomore year, I had a crisis of faith. I remember taking classes in philosophy that said life had no meaning and it filled me with a true despair about the meaning of life. I also had an eating disorder that didn’t even have a name at the time. God led me to a wonderful group of Christians on campus. One night they showed a film clip about Christianity. Then there was an opportunity to ask God into our hearts and I asked. It was clear there was healing that needed to happen and there was this wonderful healing, love and forgiveness and growth that could happen if I was up for it. That was the first step when I look back: Asking Jesus into my life was the most transformational moment in my life. Then I remember sitting in my dorm drinking coffee, staying up late and there was a religious writer (I read in the paper)...I thought, ‘Wow, that could be a career.’ You could write about that. A: I have an earlier book (“If I Could Ask God Anything: Awesome Bible Answers for Curious Kids”) and that’s been out for more than 10 years now. It features real-life questions from real-life kids about the Bible and Christianity. I’d get letters from kids, parents and teachers and they wanted more. They said to write a 365-day devotional, so I did. It made sense. It was a two-year process. There were times where I thought ‘Did I bite off more than I could chew?’ But it worked out really, really well and I’m thrilled about it. Q: How does “365 Bible Answers for Curious Kids” differ from some of your work for “Guidepost” and your memoir writing? A: It’s definitely in the nonfiction category, starting with questions and answers from my original book. It all started with questions my own children asked growing up. I taught Sunday School for many years and that provided a source for lots of questions and answers. I went to St. Mark’s educational director and she interviewed children about their most pressing questions and then I received questions from readers and then I have my own questions. There’s not much difference in the questions children ask about God and the questions grown ups ask. I’ve also consulted with biblical scholars and many, many clergy from wide variety of denominations. I’m excited by the book because I hope it’ll deepen young readers’ understanding about how faith fits in their own life and how they fit into the larger body of Christ. Q: How did you end up in New Canaan? A: We love New Canaan and we always will... We had many years in New York and they were great. Our kids were in fourth and first grade when we decided, like many do, to leave New York City and we picked New Canaan. One of the reasons I love New Canaan so much is it’s a quintessential New England town. It’s physically beautiful.